RCI Bank, a new savings bank based in the UK’s county of Hertfordshire, has obtained a full banking licence. “As a French bank with a British home, we’re extremely proud of this milestone because we’re committed to being here for the long term, offering our customers competitive rates and great customer service for many years to come,” states the bank’s CEO, Jean-Louis Labauge. Since its launch in 2015, RCI Bank has operated as a subsidiary of its French parent company, RCI Bank and Services (RCI Banque; formerly known as Renault Crédit International). 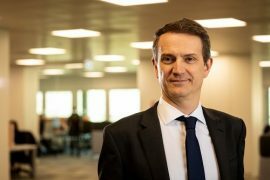 The UK banking licence is an opportunity “to strengthen our roots in the UK”, Labauge explains. There no change for the customers, the bank assures. The protection of customers’ funds has now moved from the French FGDR scheme to the UK’s Financial Services Compensation Scheme (FSCS) and the Prudential Regulation Authority (PRA). RCI Bank’s HQ is in Rickmansworth. It employs 300+ people and has over 75,000 savings customers. It offers two products: a fixed-term savings account and an easy access savings account. It provides its services via digital channels and also has a call/support centre. “Our unique business means we help drive the UK manufacture of Nissan models in the North East of England, and we only use our money to support the sales of new and used vehicles in the UK,” the bank states on its website. The Nissan factory has been in the news recently, with fears of it being shut and the production moved outside the UK as a result of Brexit. Owned by Renault, RCI specialises in automotive financing, insurance and related activities for the Renault group brands (Renault, Renault Samsung Motors, Dacia, Lada and Alpine) globally; for the Nissan group brands (Nissan, Infiniti, Datsun) in Europe, Russia, Asia and South America; and for Mitsubishi Motors in the Netherlands. Who’s who in the challenger bank space in the UK? Read our free guide to find out!